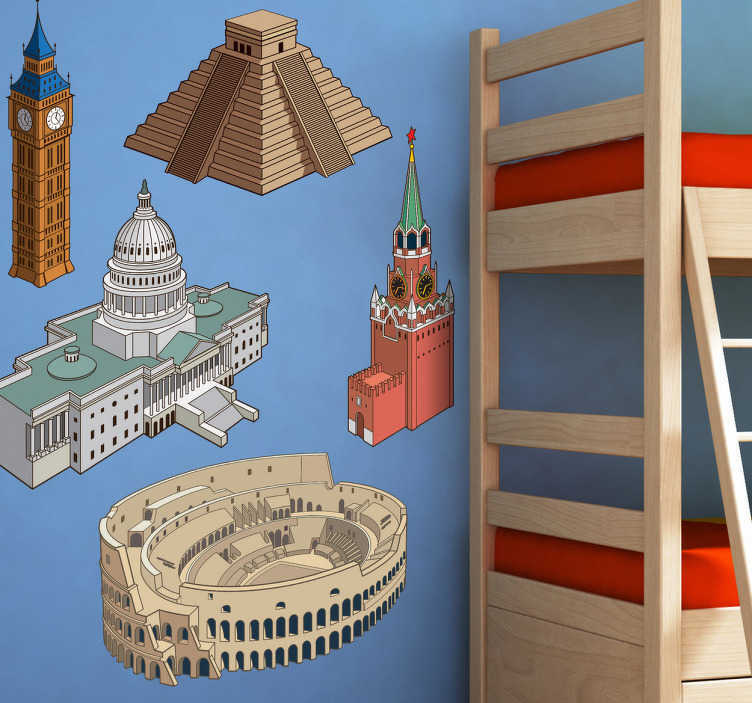 Decals - A collection of wall stickers based on famous monuments from around the world. USA, Great Britain, Mexico, Russia and Italy. Available in various sizes. Ideal for decorating the bedrooms or classrooms for kids.